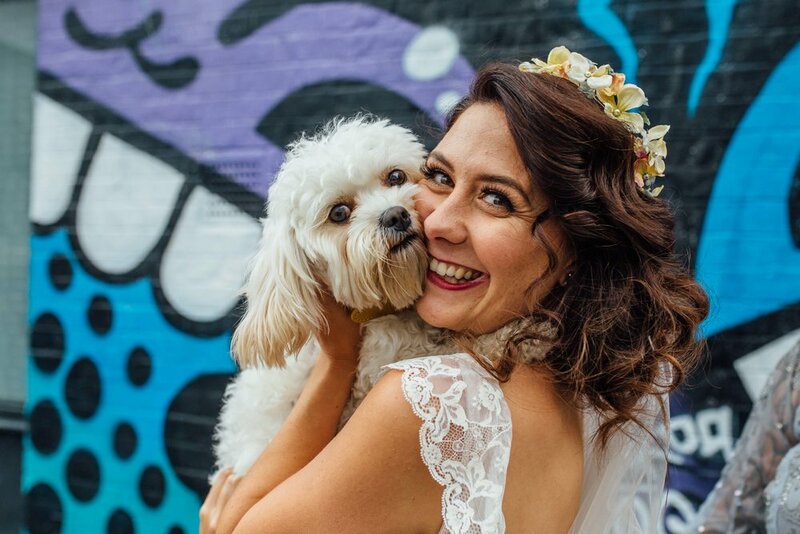 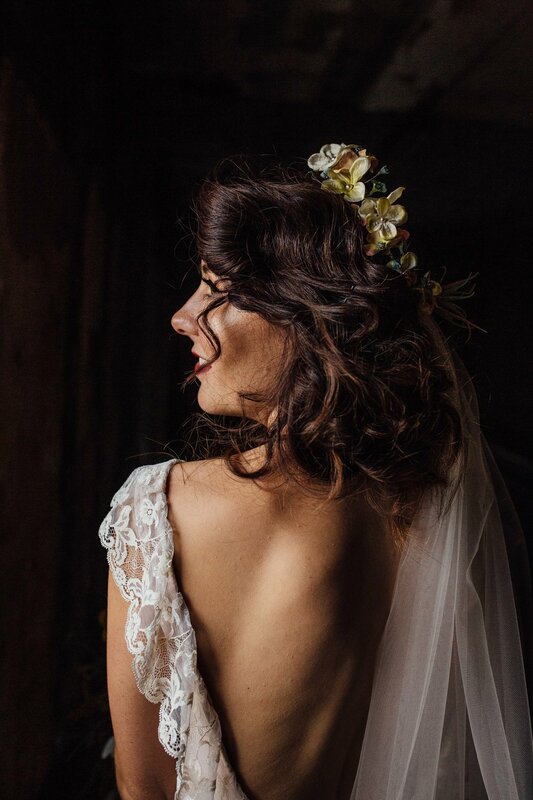 I have had the pleasure of working with lovely Katy in the past as she has done some modelling for me so I was absolutely thrilled when she approached me to help with her upcoming wedding to Carl. 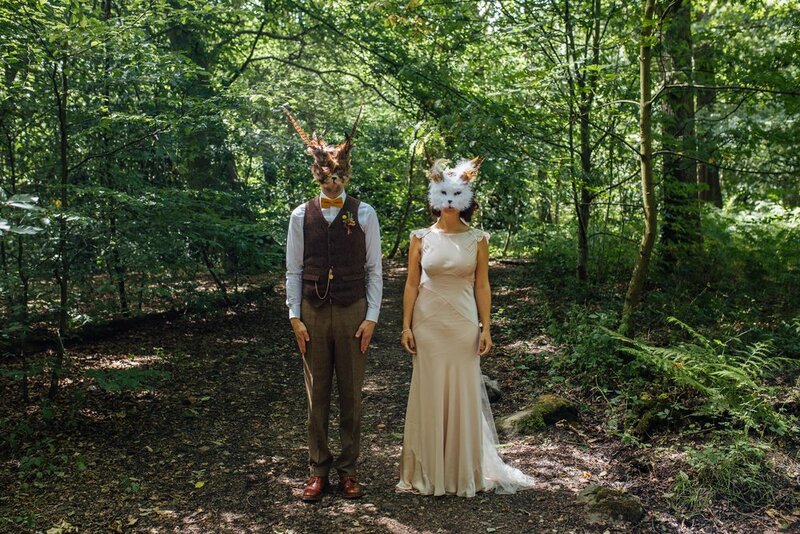 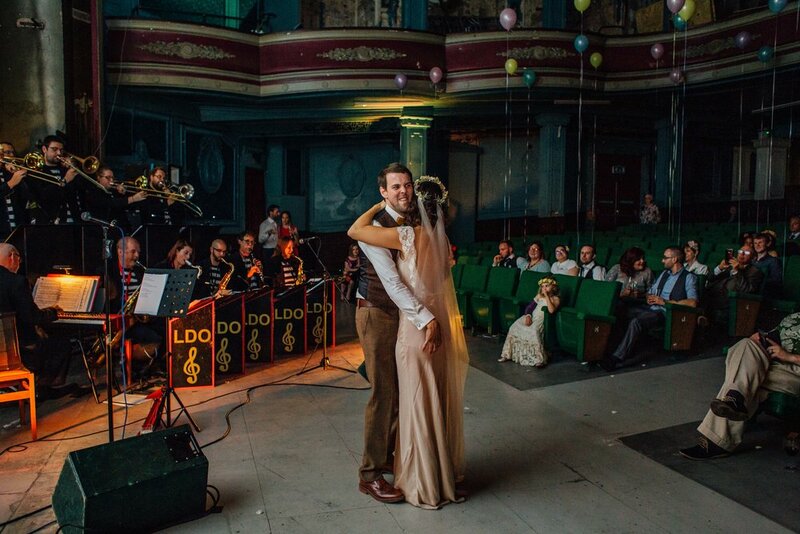 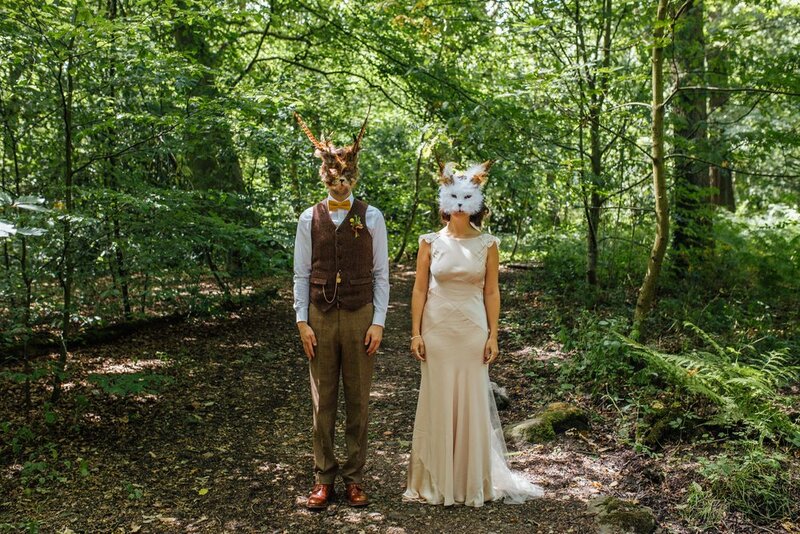 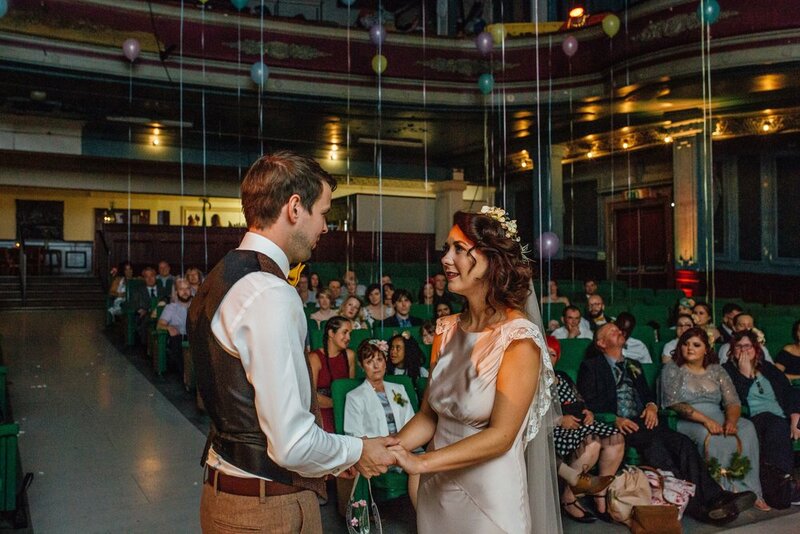 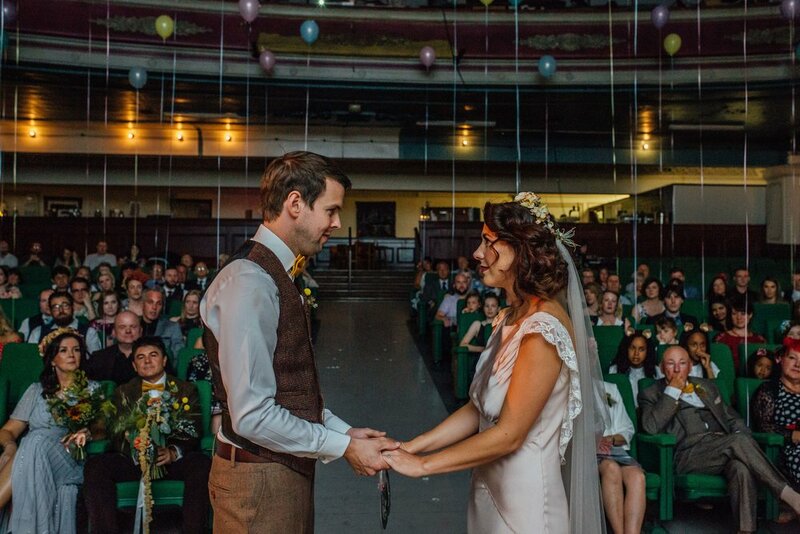 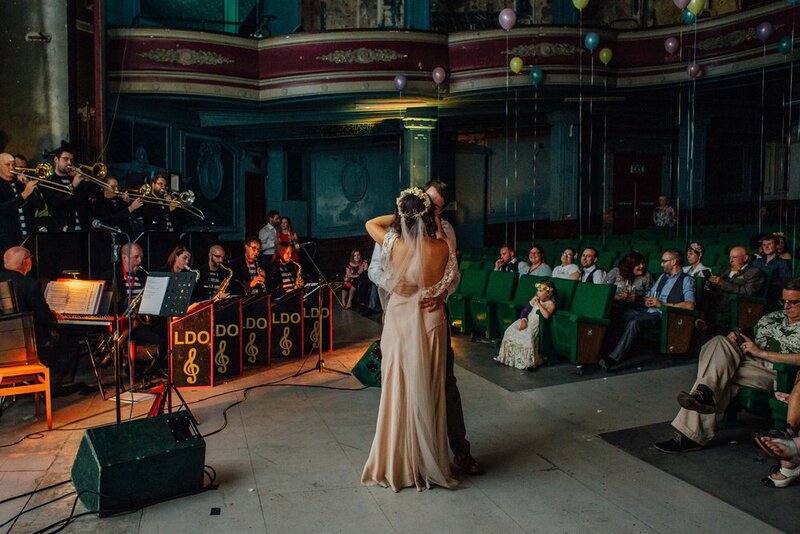 Katy and Carl got married in Sheffield at the wonderful Abbeydale Picture House in an incredible Wes Anderson themed day. 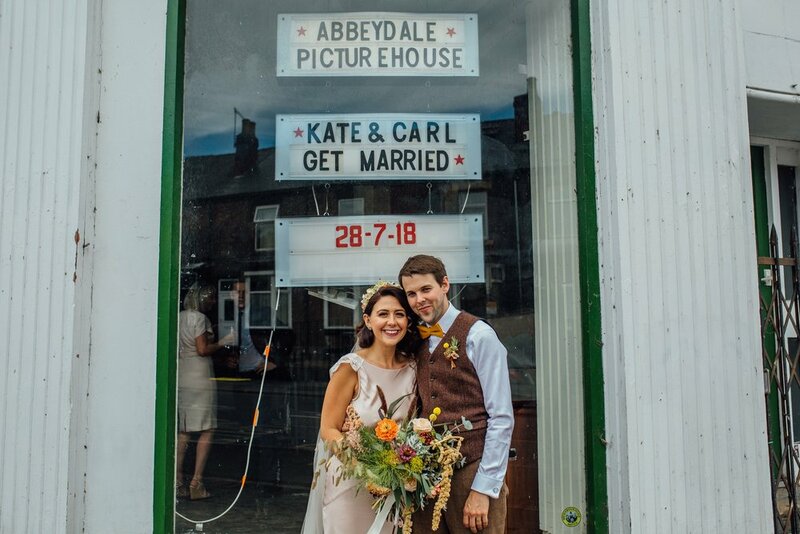 Both being huge film fans they chose to base the day around their favourite director and it worked so well. 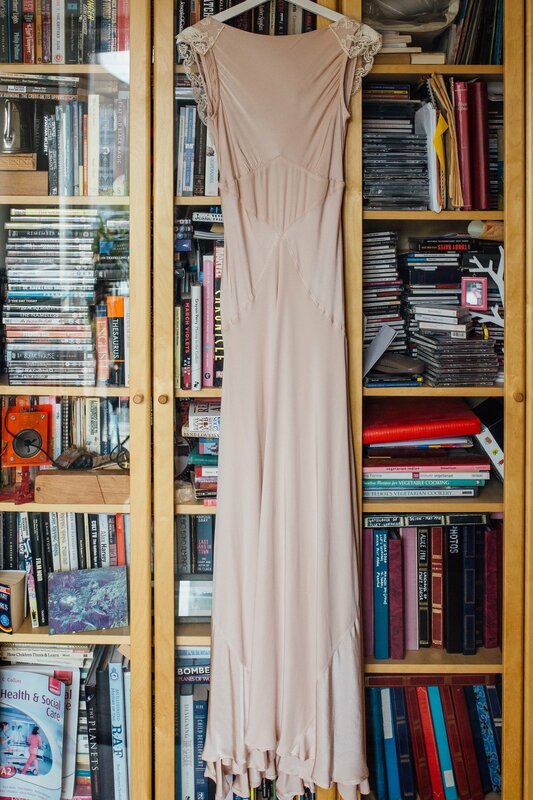 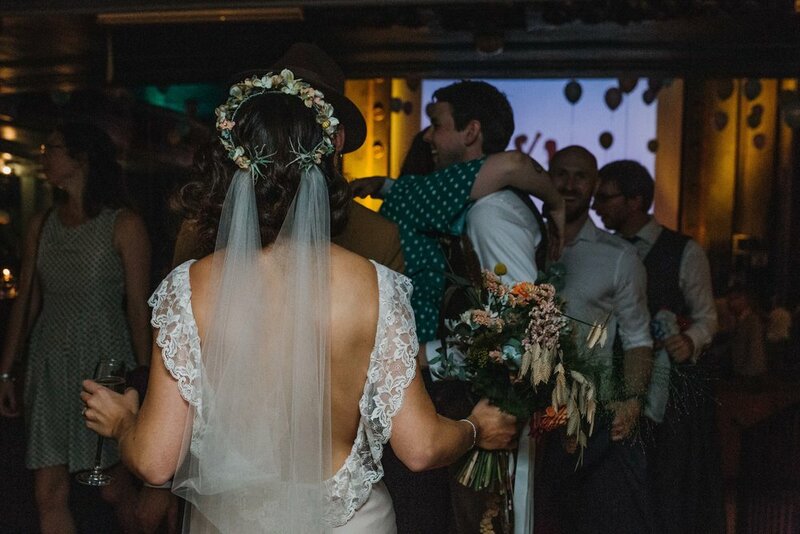 When Katy got in touch she had already purchased a dress that she wanted to wear for her wedding, however it didn’t feel quite right for her and she wanted it to be a bit more unique to help her truly feel herself. 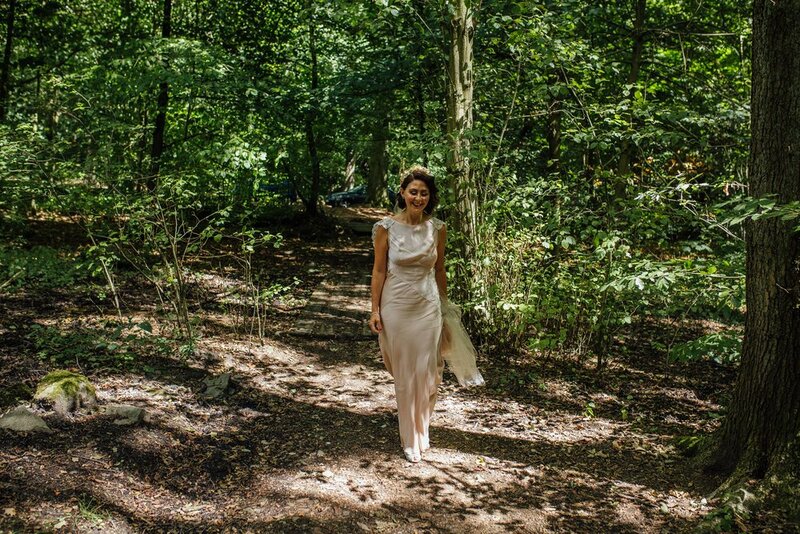 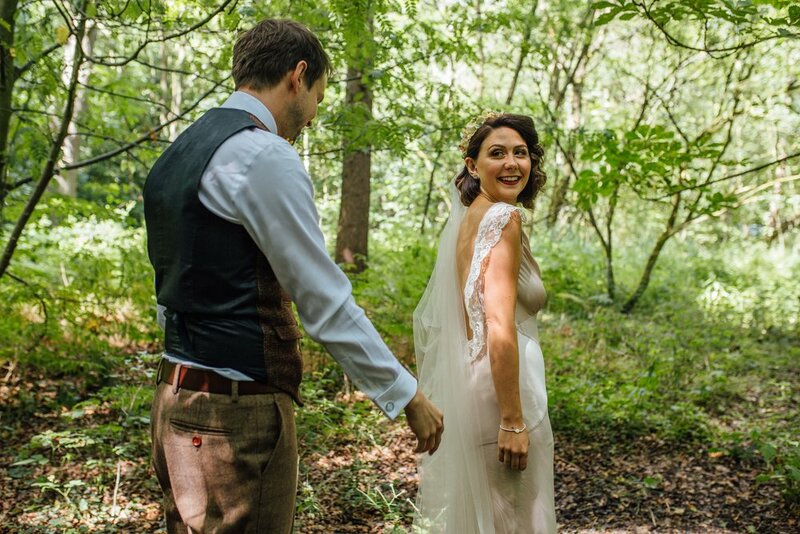 I re-designed Katy’s dress taking the back to a beautiful low curve and then trimmed it in a gorgeous vintage style cream lace that delicately followed onto her shoulders. 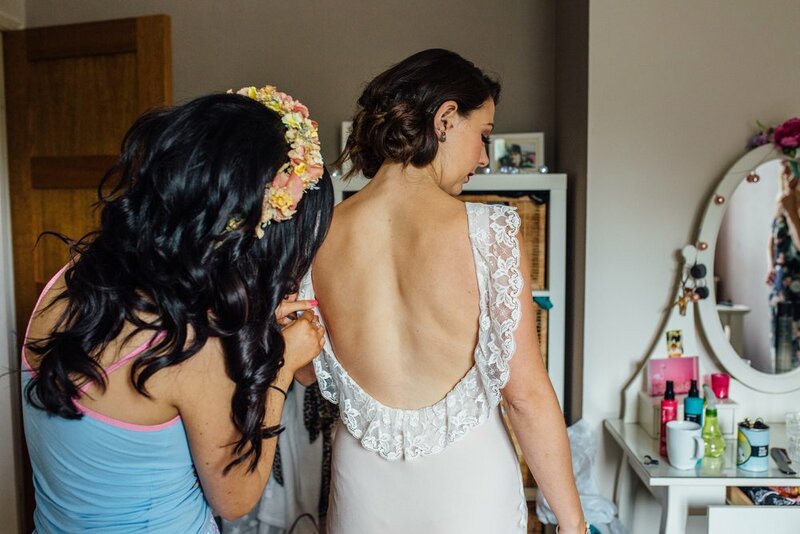 The lace matched the soft blush colour of her dress really nicely and showed off her beautiful back. 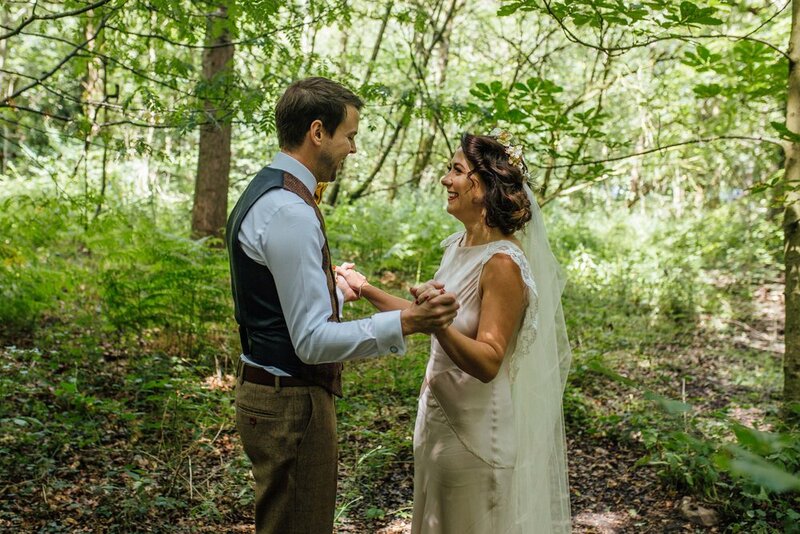 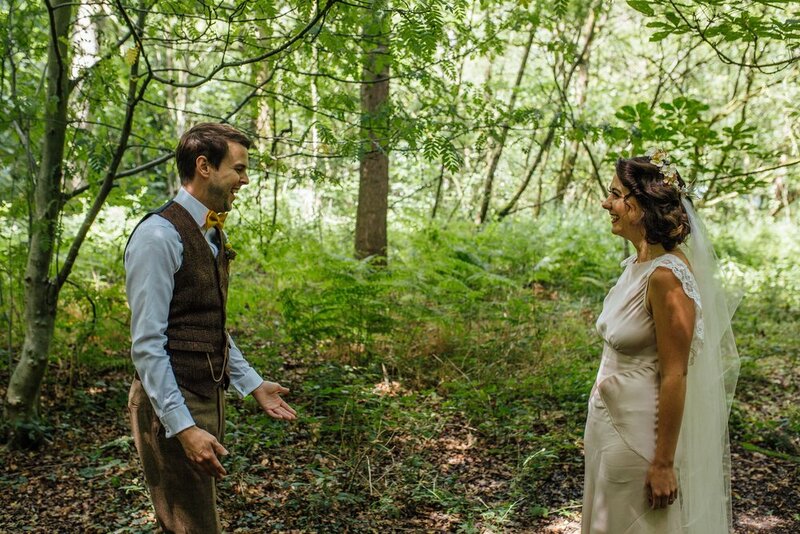 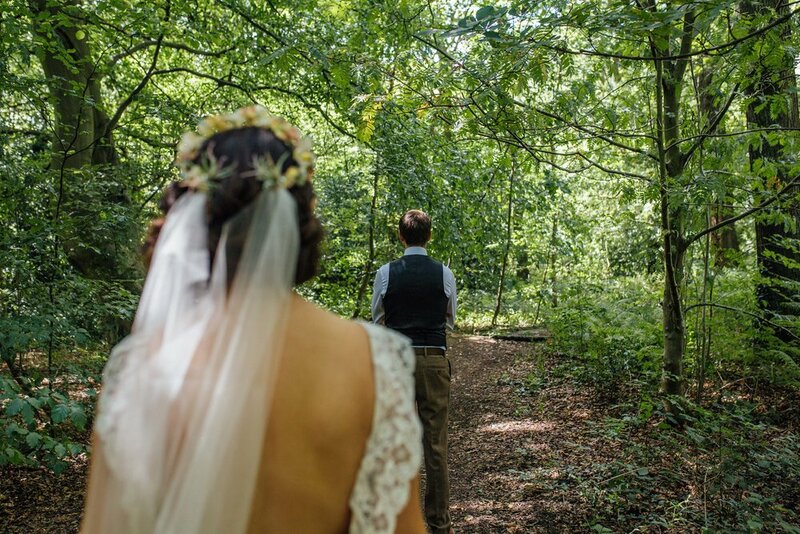 As well as her dress alterations Katy asked me to design and make a bespoke veil for her to finish off her wedding outfit. 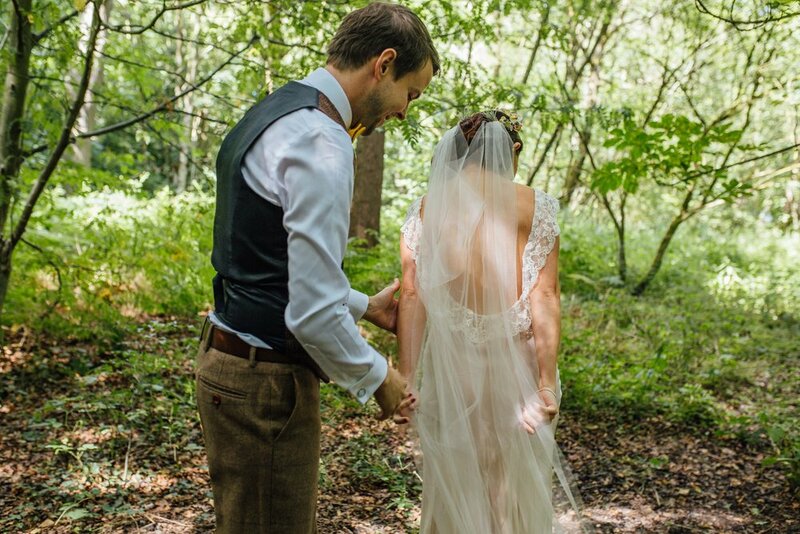 I picked a soft cream colour to compliment her dress to create a full length drape veil and then added bespoke embroidery of hers and Carl’s initials and their wedding date. 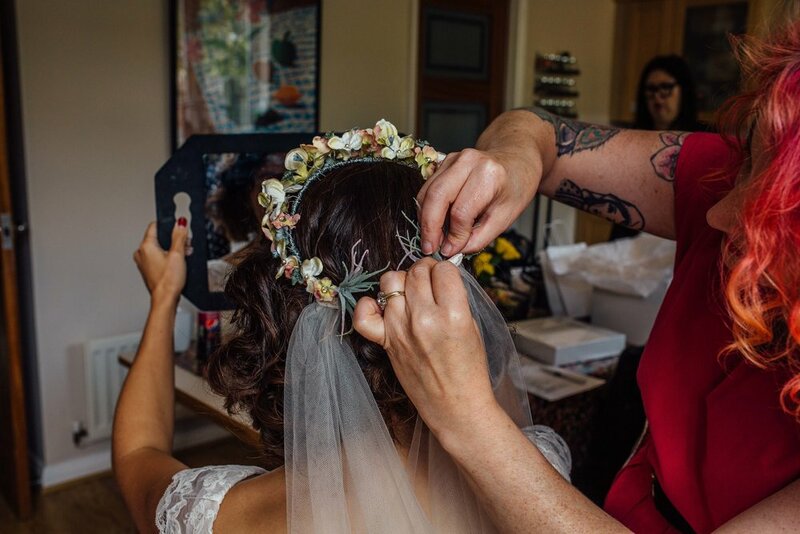 The results were incredible and Katy made the most beautiful bride.